If there is something else not listed that you would like to know regarding the band then please use our enquiry form available on the “Enquiries” page. Do You Supply Demo CD? 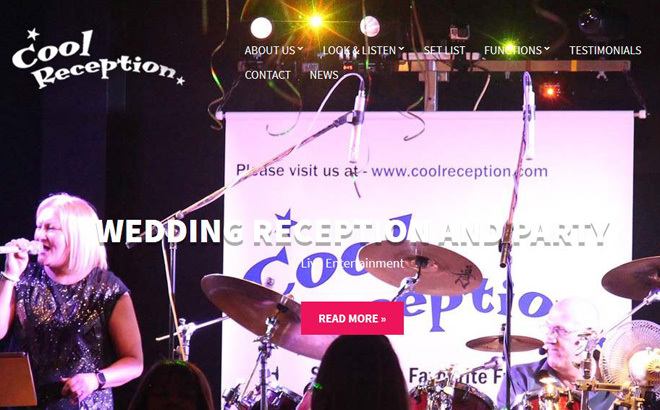 We can supply a CD where necessary but normally most clients just listen to or download MP3 audio clips of the band playing live from our website where there is a wider selection of songs. Please visit our “Enquiries” page and fill out the enquiry form or if you prefer call us on 01875 613634. We are based in central Scotland and we regularly travel within 100 mile radius of this area. We will travel greater distances and abroad if accommodation and traveling costs are met. Please contact us for details. Can You Provisionally Reserve A Date For Me? Yes, but please remember we often have multiple enquiries for the same date especially a Friday or Saturday, so our policy is to always take the first confirmed booking. So to avoid any disappointment please remember to confirm your booking with us ASAP. Bookings are secured via a confirmation letter sent from us to the client. In return we require a signed letter stating we have all the right details along with a requested non refundable deposit. Payment of the remaining balance is due at the beginning of the evening of your event. We play an authentic set of popular ceilidh dances which are dropped in throughout the evening at our discretion. Do You Call The Ceilidh Dances? We can call the more straight forward dances such as a “Gay Gordon’s”, “Dashing White Sergeant”, “St. Bernard’s Waltz” etc but if you require a more sustained ceilidh section we recommend you use the services of a dedicated “caller”. We have contact details for an excellent caller we regularly work with if required. Can We Choose The Songs To Be Played From Your Set? Yes, you can choose your favourites and we will do our best to fit them in but we must stress that final choice of repertoire is solely down to the experience of the band. We do try to update our play list regularly so it’s better to do this a few weeks prior to your event if possible just encase there have been any changes made. 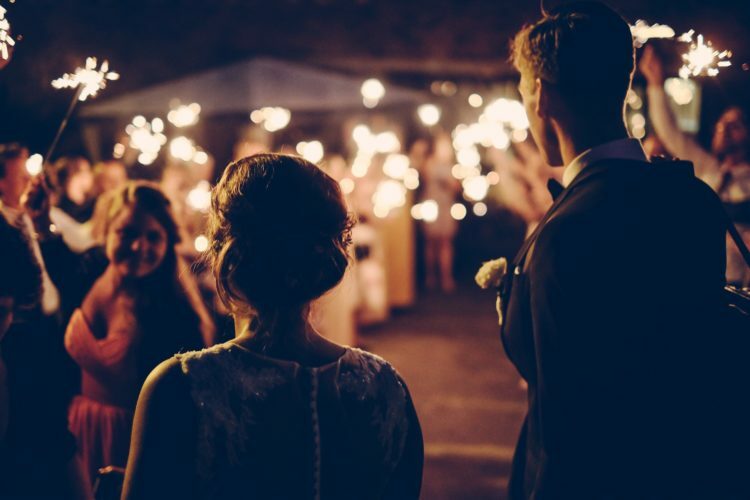 We offer clients a choice of songs from our current list which are appropriate for the bridal dance but we realise many couples often have a specific song they’d like. As it’s not practicable for us to learn every song requested we have the facility to play the song of your choice for you if you bring it along on CD at the beginning of the evening, prior to our first live set. Please make sure any CDs supplied are free from marks, finger prints etc and do not contain video or other information as our player will only play CDs containing audio only. The performance area (or stage) should be around 5m wide x 3m deep. We can set up in smaller spaces if required, but this does affect the amount of lighting equipment we can provide so please let us know in advance or contact us for advice. Do I Need To Arrange Food For The Band? Not necessarily, but we would appreciate a meal or access to the evening buffet as when travelling a fair distance our ‘working day’ can sometimes be 12 hours long from the time we leave home and return. How Long Does It Take To Set Your Equipment Up? Under normal circumstances it takes around an hour for us to unload and set up but his is dependant on how easy the access into the venue is and also how large the venue is, as it effects the amount of equipment and lighting required. Please also allow us 10-15 minutes to get changed into our stage clothes. Please note we will not be held responsible for starting later than scheduled due to circumstances beyond our control. Do I Need To Arrange Somewhere For The Band To Get Changed? Yes, where possible please try and arrange an area or a private room preferably with a mirror and washing facilities. Please note that toilets are not normally suitable changing facilities! Can You Provide Background Music Or Dance Music During Any Breaks? Yes, we have a wide selection of pre-recorded background music which can be played after we are set up at any time throughout your event; for example during dinner/buffet. We also provide non stop mixes of music to dance to in between live music performances from the band so as to maintain the party atmosphere. No, the band does not under any circumstances allow guests, etc to use any instruments or equipment as it is not covered by our insurance. We have in the past accommodated a singer or musician who brought their own guitar or instrument along and performed, but this should, if possible, be arranged well in advance. We also sometimes have requests for people to sing but we discourage this as much as possible as it can often ruin any atmosphere that the band have worked hard to create. If the band does decide, at their own discretion, to allow someone to sing please note they may well have to sing unaccompanied. No, the band may sometimes have to perform over 4 hours of live music, which is physically draining, and will not under any circumstances extend performances on the evening, Any changes regarding start or finish times must be arranged prior to the event.